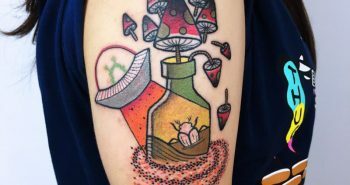 Unique Tattoo Ideas can be found everywhere. However, getting a Tattoo for the first time can be one of the most challenging things. 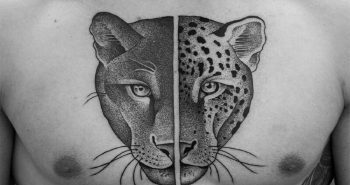 How to come up with a Tattoo Idea? Different people are inspired by different things. So, it really comes down to what type of learner that you are. Whether you find it easier to learn visually or by reading. However, you can’t force inspiration. You can’t just put your inspiration cap on. It just doesn’t work like that. 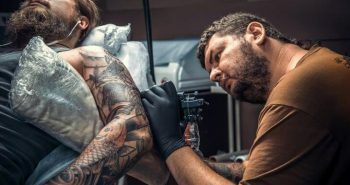 We decided to share with you best advice on how to find unique tattoo ideas. 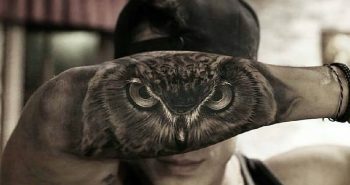 Owl Tattoo is loved by people for its strong symbolic meaning. By getting a Tattoo of an Owl you will be carrying the wisdom and knowledge of this glorious creature with you wherever you go. Sugar Skull Tattoos (Calavera) become very popular over the years even amongst those who are not Mexican, Catholic or even religious. 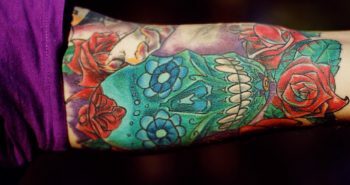 You don’t have to be Catholic to appreciate the artistic value of the sugar skull tattoos. 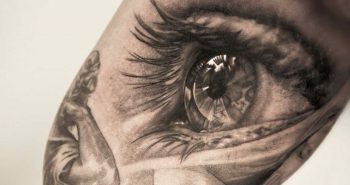 Realistic Tattoos might deceive your own eyes the moment you stare at them. It might also look like they are moving and real, since the realistic tattoos actually have something to do with optical illusions. Crown Tattoo represents power, legitimacy, victory, triumph and glory. 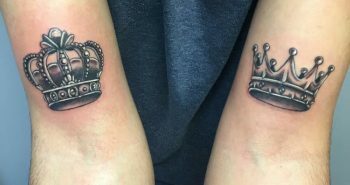 Crown Tattoos are versatile and can be portrayed in many variations and designed in feminine or masculine way. Girl Power Tattoos have a way of getting people talking. Feminists tattoos have developed over the years representing different viewpoints and aims. All feminist tattoos are empowering and super powerful. 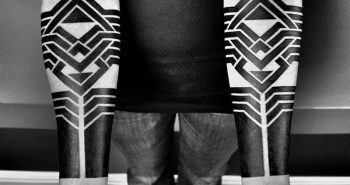 A blackwork tattoo is an abstract geometric shape painted in pure black upon the body. 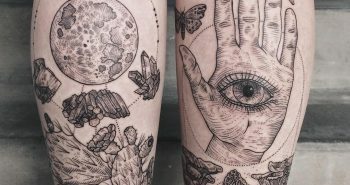 Blackwork is pushing dotwork and linework to their extreme, with complex geometrical symmetrical patterns and massive black areas.